Today I was reading a post by Fadanista, who was making a more environmentally-friendly alternative to a fleece jacket from a vintage pattern. In it she mentions the issue of man-made (i.e. synthetic materials like fleece, nylon, acrylic, etc.) and the negative impact these can have on the environment (as well as on the people wearing them). Apart from the production of such materials, which come from oil basically, one of the key issues is the tiny particles and lints that such garments release in the waterways while being washed and treated. In her post, she mentions some interesting articles and sources (like this one from the Guardian – please visit her blog for more links). These particles ending up in our waters and oceans, are ultimately contaminating water, as well as are being swallowed by fish and so ending up in the food chain (= on our tables). As she suggested, the only good option may be to “leave it alone” at the bottom of the stash. 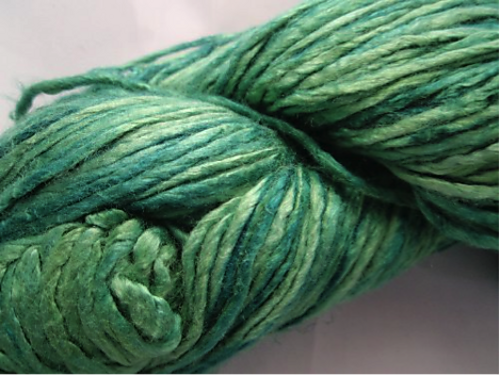 Still, I think it’s a good time to have a conversation in the crafting communities about man-made fibres and their ill effects on health and environment. I think of the inexpensive craft packs that are being used in large quantities – the end product may look pretty, but it has a hidden nasty side effect: it pollutes our environment. So, today I pledge to try and avoid using synthetic fibres as much as possible. I hope others will join in! On the bright side, I had just decided to bring some order to my UFOs queue. There aren’t too many items in there (about five, I think)… still it’s worth dealing with them – do something with them or reuse the yarn. 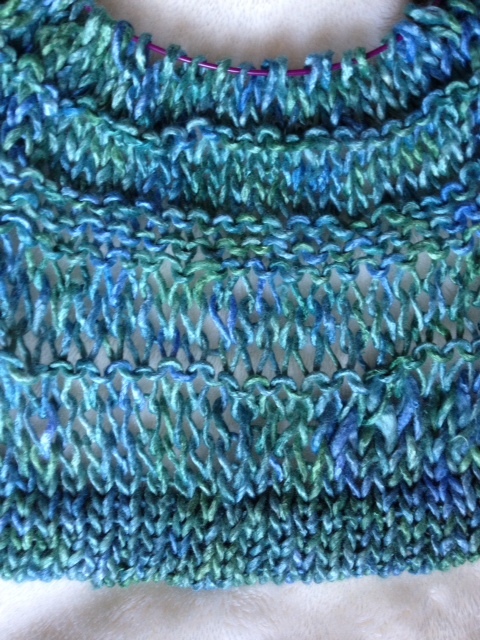 The first I picked up, is this summer top: Sea top (Ravelry project). 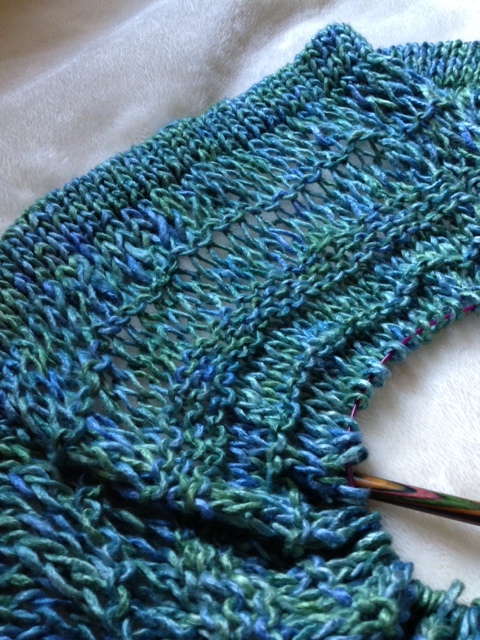 It’s made of aran silk and based on Simple Irresistible, a free pattern that I slightly tweaked. I’m still expecting to most probably ending up at the frog pond! 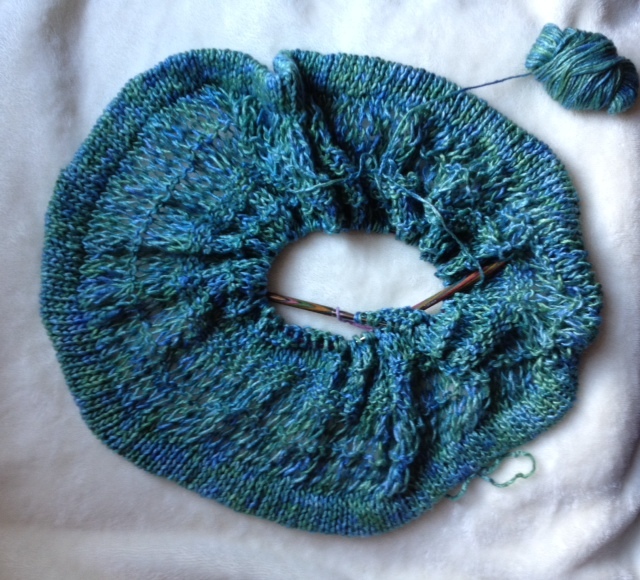 A few shots of the top short before it was put on hold… I’ve now added more rows to it and started a new skein. 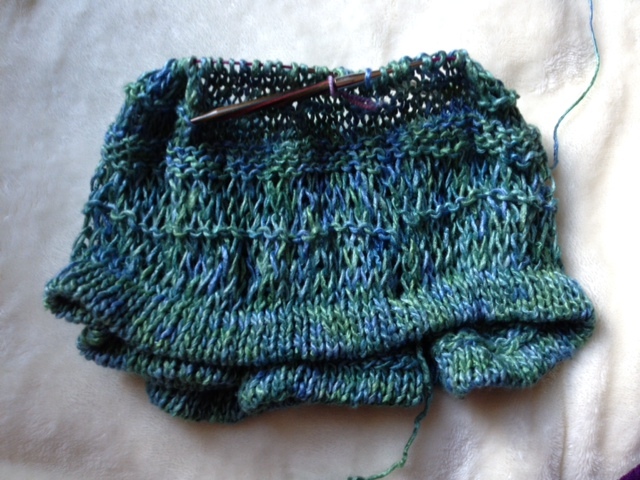 The yarn is an aran silk in Seaweed (one-off stock), it’s soft, drapey and shiny. There are many other things I wanted to share, but I will leave them for the next posts… one will be about some vintage lace gloves and how they went to some period dances in grand halls.